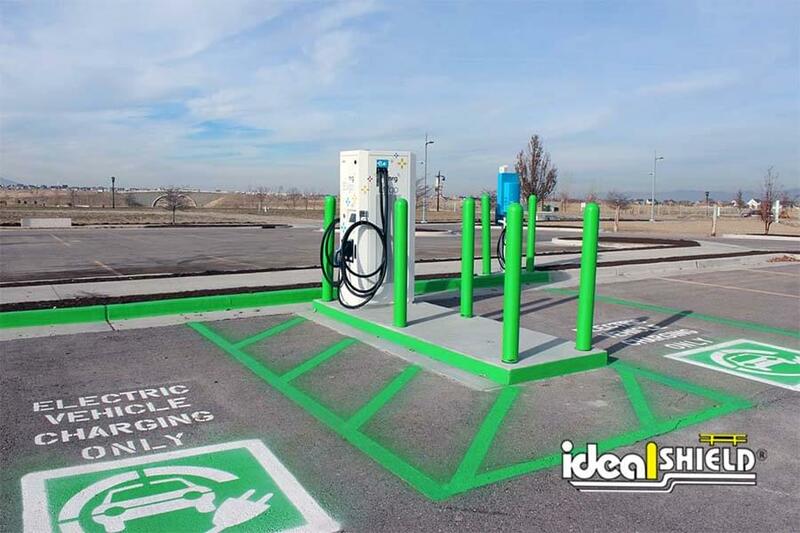 The Electric Vehicle Boom in Coming: Are You and Your Charging Stations Prepared? The electric vehicle has been here for some time. But there still is a huge discrepancy between the amount of gas powered vehicles and electric powered vehicles on the road as, according to Fortune, there are, a record high, two million electric vehicles on the roads around the world. Sounds like a lot, but there are over 250 million gas powered cars in the United States alone. No worries, electric vehicles. Help is coming. According to multiple reports, Elon Musk and Tesla will roll out 400,000 Model 3’s by the end of 2018, which will be the largest single electric car roll out ever. And now, there’s a lot of work to do to make sure those 400,000 cars, along with the hundreds of thousands of other electric vehicles on American roads, will have access to charging stations. The Wall Street Journal’s Christopher Mims recently reported that there are around 44,000 public charging stations currently online in the country. That’s clearly not enough for nearly one million electric cars that will be cruising the streets next year. So, what will have to happen? 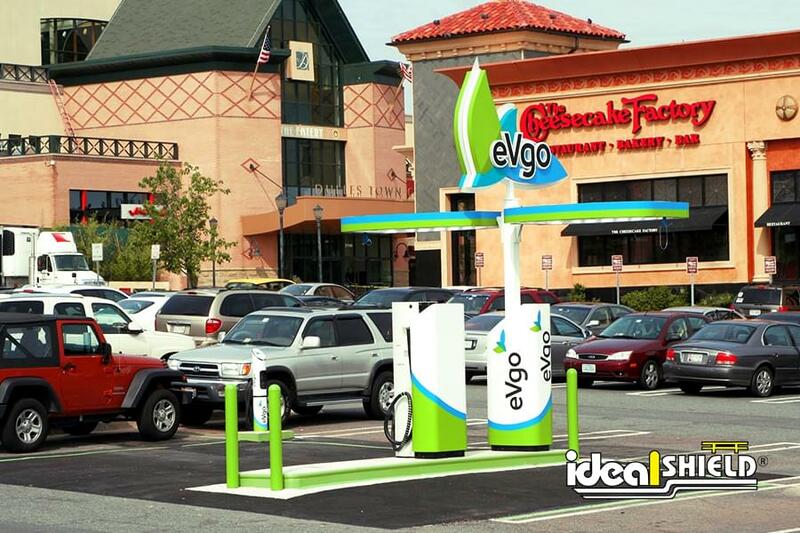 More electric vehicle charging stations will start popping up all around the country. 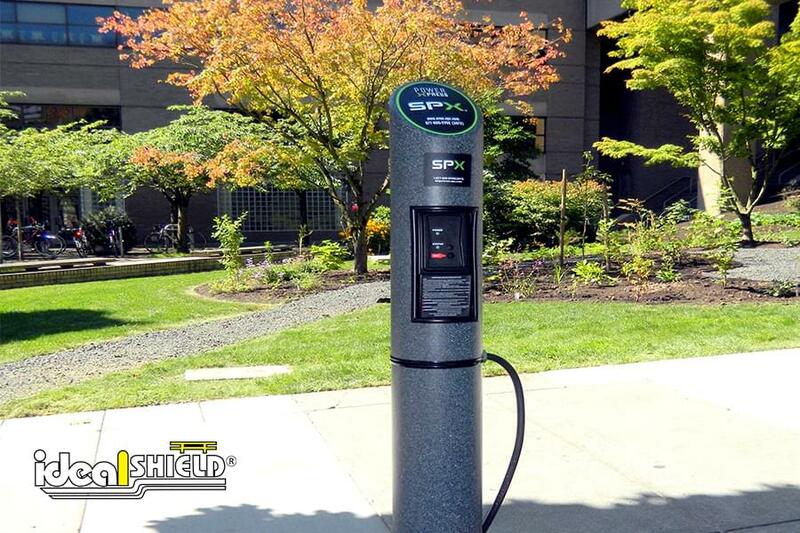 From public parks to business parking lots, city streets to suburban neighborhoods, expect to see a lot of charging stations to start being installed throughout the United States. But that’s not all that needs to happen. Not only will the strength of the power grids need to improve to supply all of the added electric vehicles on the roadways but both the current and future charging stations will need protection. That is where Ideal Shield comes into play. 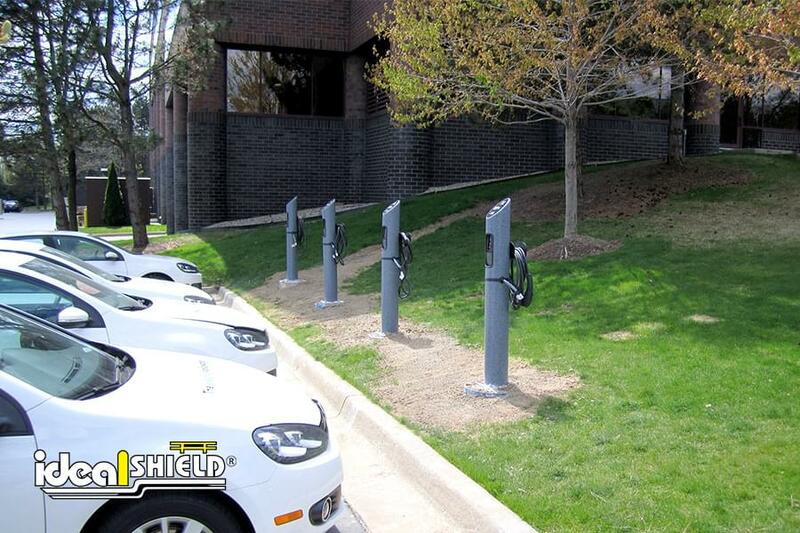 Ideal Shield’s Electric Vehicle Charging Stations is made out of galvanized steel and has a NEMA 4x enclosure that allows it to produce a full charge in any and all weather. The stations is also sleeved in a customizable, maintenance-free decorative bollard cover, which means you’ll be able to enhance the look and feel of your charging stations to match the company or area it’ll be installed. If you’re spending $2,000-$5,000 on a charging station, you should look to improve its surroundings to protect it from potential accidents. 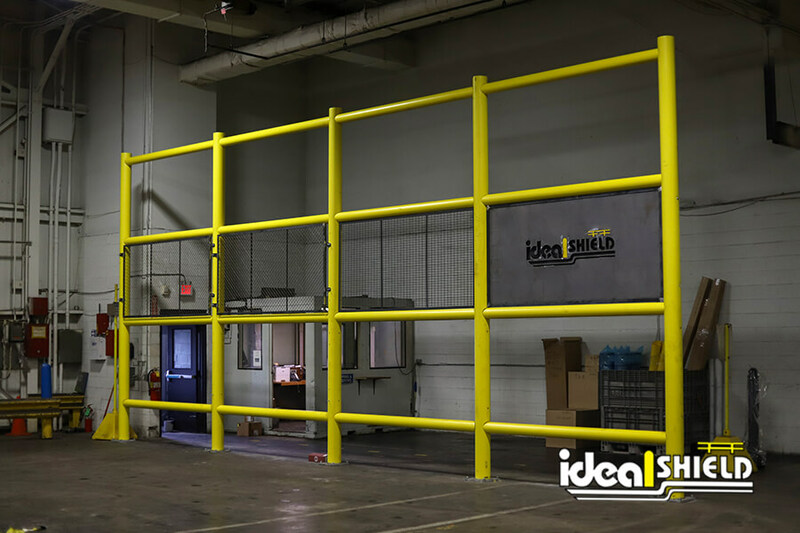 And there aren’t many stronger or better looking options than Ideal Shield’s schedule 40 or schedule 80 steel pipe bollards and customizable HDPE plastic bollard covers. The electric vehicle boom is almost here. Are you ready for it? 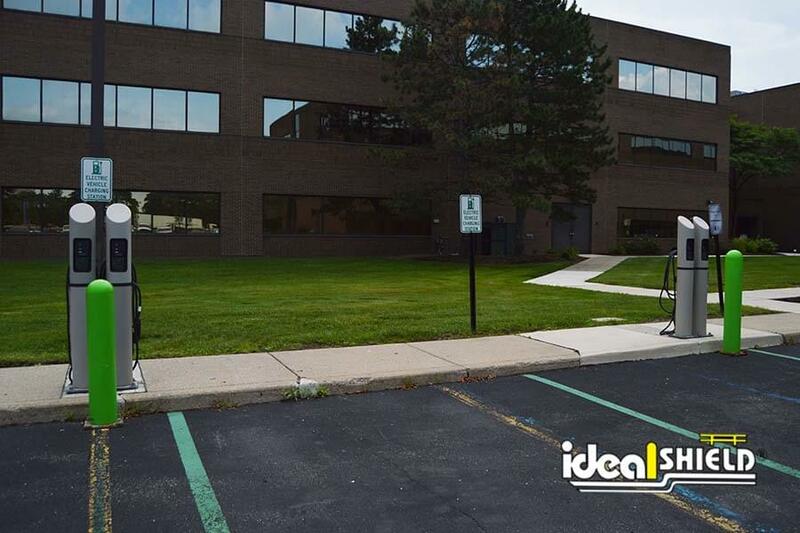 For more information on the EV Charging Stations and/or our bollard posts and bollard covers, please contact Ideal Shield today. Our experienced and knowledgeable sales team will happily answer any of your questions.